Can Copper Pipe Be Buried? Lay copper pipe on loose backfill when installing it in trenches. Rigid copper pipe comes in three types: Type M has thin walls and Type L has medium walls usually used for general household installation. Type K has the thickest walls. For underground installations, use Type K copper pipe. But consult your local city building construction department prior to installations; it will always have the last say regarding local code requirements. Install the copper pipe in a trench at least 16 inches deep (refer to local code specifications). The copper pipe is best surrounded by homogenous backfill. Don't throw any construction debris of any kind into the trench to use as filler, as decomposing wood and other construction materials can increase the acidic soil level, which over time will eat into the copper pipe. Do not lay the copper directly on top of undisturbed compacted soil, as this soil allows an oxygen differential cell to slowly develop on the bottom side of the copper pipe. The lesser compacted landfill soil on the sides of and above the copper pipe has less oxygenated soil, which can lead to accelerated pipe corrosion. 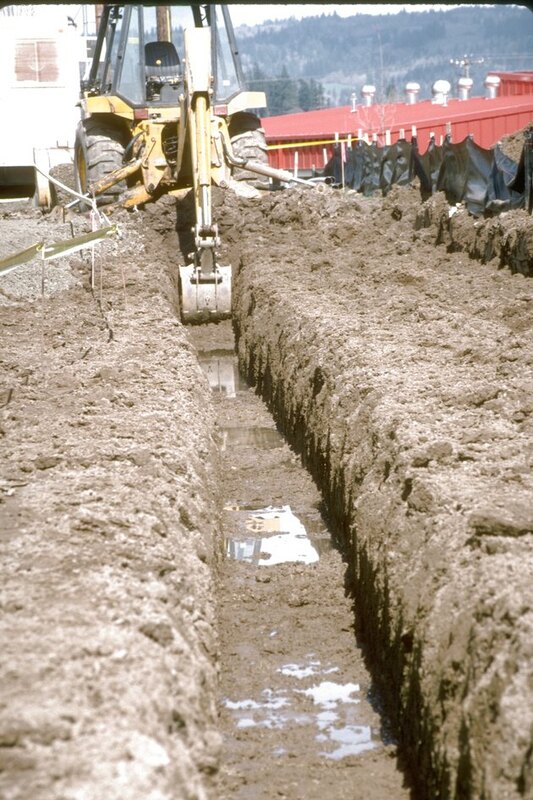 Stop the possibility of accelerated pipe corrosion by applying a 4- to 6-inch layer of landfill in the bottom of the trench prior to the installation of the copper pipe. Then fill around the installed pipeline with the homogenous backfill. However, you can use alternative backfill materials, including limestone sand, washed sand, limestone chips, washed pea gravel or small smooth river stone.